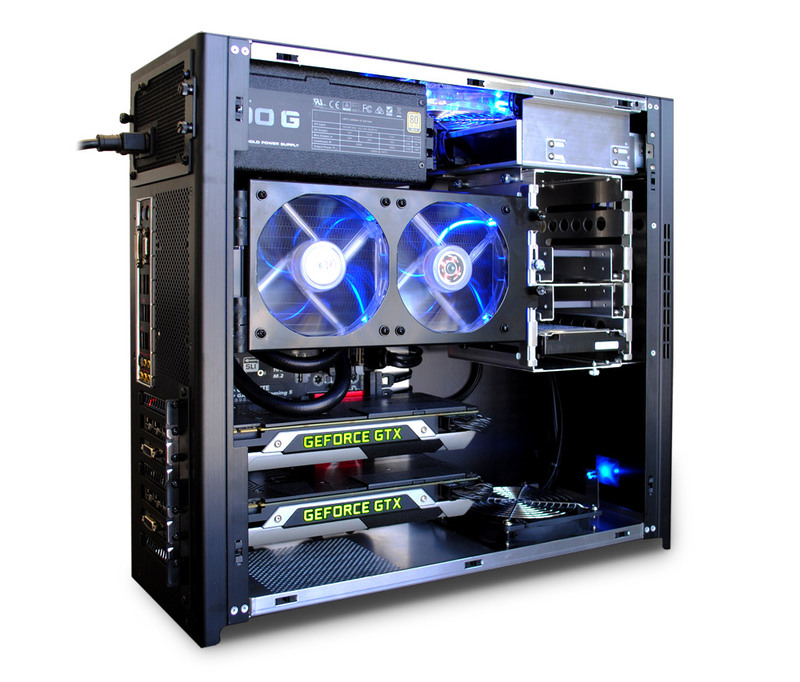 Slashcam News : How to put together the optimal video editing PC? 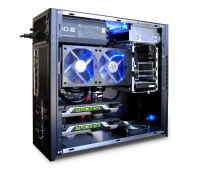 How to put together the optimal video editing PC? Puget Systems configures PCs especially for special requirement profiles and has many years of experience in assembling optimal systems. Puget is well known on the web because they have been providing detailed benchmark results with the latest hardware and various professional applications such as Adobe Photoshop CC, After Effects CC, Premiere CC and DaVinci Resolve online for free since 2001. This information is very useful when selecting individual components for a specific application scenario, especially with regard to the latest available hardware such as CPUs and GPUs, in order to achieve optimal performance. Puget also checks with new benchmarks if the support of new GPUs through software updates (e.g. After Effects/, Premiere or DaVinci Resolve) has improved and if so how much. Jon Bach, CEO of Puget, answers in the linked interview with Studiodaily the most important questions that arise when compiling or purchasing a fully configured PC for special professional applications, such as video editing. From his numerous benchmarks with various configurations, he has developed a good understanding of which components are particularly important for which task and what the bottlenecks of a system can be, which can cause performance - despite otherwise good individual components - to collapse. When configuring a PC, he distinguishes not only the application area, but also which programs are mainly used due to the different requirements. The answer to the question about the largest performance bottle necks is particularly interesting. According to Bach, it is usually the CPU&s fault if the performance does not meet expectations. If the CPU frequency is not high enough, the live playback suffers and only works with reduced resolution. On the other hand, according to him, the problem can also be that an overly expensive CPU is selected, which, with a fixed budget, is at the expense of the other components. Contrary to intuition, more processor cores are not always better (except when rendering) - so sometimes a fast i.e. high clocked 8 core CPU is faster than a CPU with 18 cores. Depending on the software, more cores can also slow down a program above a certain limit. How much RAM does a PC need for video editing? According to Bach, the RAM requirement depends mainly on the resolution and the codecs used for the material to be edited. FullHD/1080p does not make any special demands on current hardware and does not require large investments; working with 6K and 8K, on the other hand, can require 64 GB or 128 GB of RAM. Puget uses DDR4 RAM with 2,666 MHz and does not use high clocked 3,200 and 4,000 MHz RAM. For even more information on choosing an optimal video editing system, we recommend our guide: Configuring computers for 4K video editing and of course the various current CPU and GPU benchmarks from Puget, which are a good decision-making aid - also with regard to whether the surcharge for a certain component is reflected in sufficient performance gain. Adobe Premiere Pro CC 2018, After Effects CC 2019 and www.pugetsystems.com/labs/articles/DaVinci-Resolve-15-NVIDIA-GeForce-RTX-2070-Performance-1264/#IstheRTX2070goodforDaVinciResolve? ( Blackmagics DaVinci Resolve 15) in GPU comparison of GeForce RTX 2080 Ti 11GB, RTX 2070 8 GB, Titan V 12 GB, GTX 1070 Ti 8 GB and Radeon Vega 64 OC 8GB. Adobe Premiere Pro CC 2019 and DaVinci Resolve 15 in the benchmark of different Intel CPUs: among others Intel Core i9 9980XE 18 Core, i9 7900X 10 Core and i7 8700K 6 Core. For DaVinci Resolve and Premiere Pro CC users who want to switch from Apple systems to PCs (according to Puget an increasing amount) there are special FAQs. Interesting are also the findings from the benchmarks, which are reflected in the current CPU/GPU/RAM hardware recommendations for Premier Pro CC PCs and DaVinci Resolve 15.